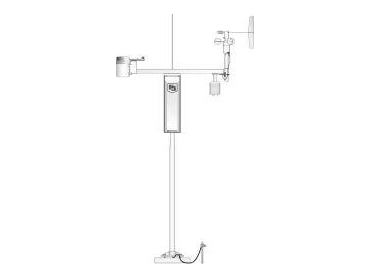 Campbell Scientific Aust provide the ET107 weather station, a preconfigured weather station with a standard sensor set. Designed for permanent installations, the ET107 weather station is ideal for golf courses, irrigation applications and most locations where weather data is desired. Data is typically telemetered through a short-haul or phone modem back to an office P.C. allowing users to easily view the data without being on-site. Users can easily calculate ETo with the data collected from the station using Visual Weather software to control their water usage. The sensors used in the ET107 weather station have the same specifications as the sensors used in Campbell Scientific Aust’s customised stations. The suffix -ET or ETM indicates that these sensors have a connector added to the end of the sensor to interface with the ET107 enclosure.